Drawing inspiration from Bali's clear waters, this intricately engraved ring is ideal for any escape. 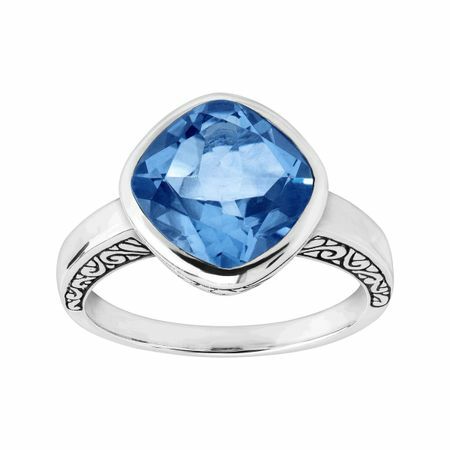 A blue quartz is stationed atop a sterling silver band engraved with unique swirls and etchings for added detail. Ring face measures 1/2 inches in width. This piece is part of our Balinese Collection, inspired by the beauty of Southeast Asia and handmade in Bali using ancient silversmith techniques. Piece comes with a “.925” sterling silver stamp as a symbol of guaranteed product quality.